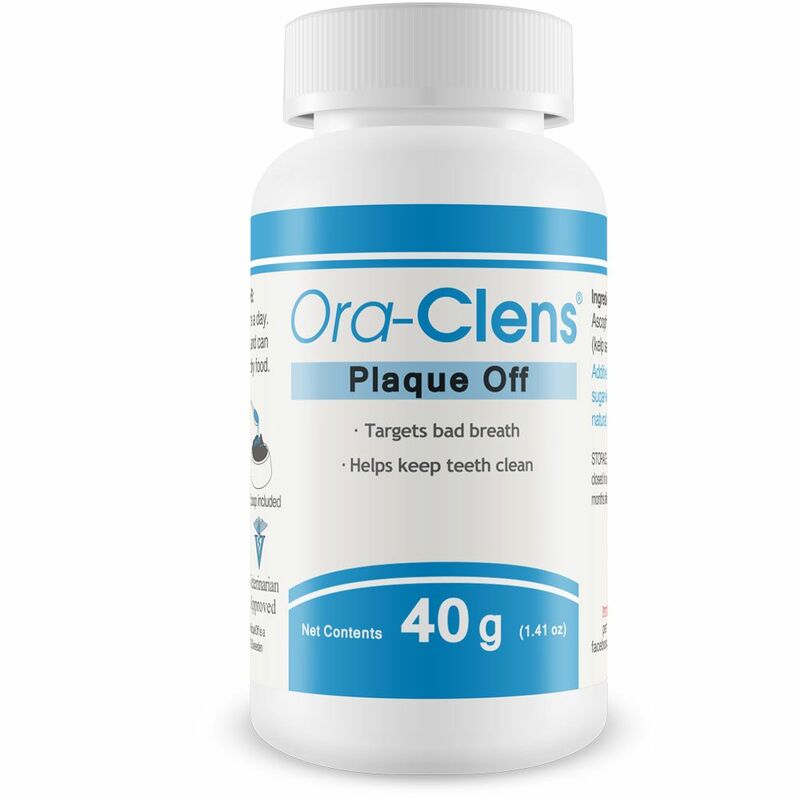 Ora-Clens® Plaque Off works to fight the bacteria that produce plaque, tartar and bad breath in cats and dogs. 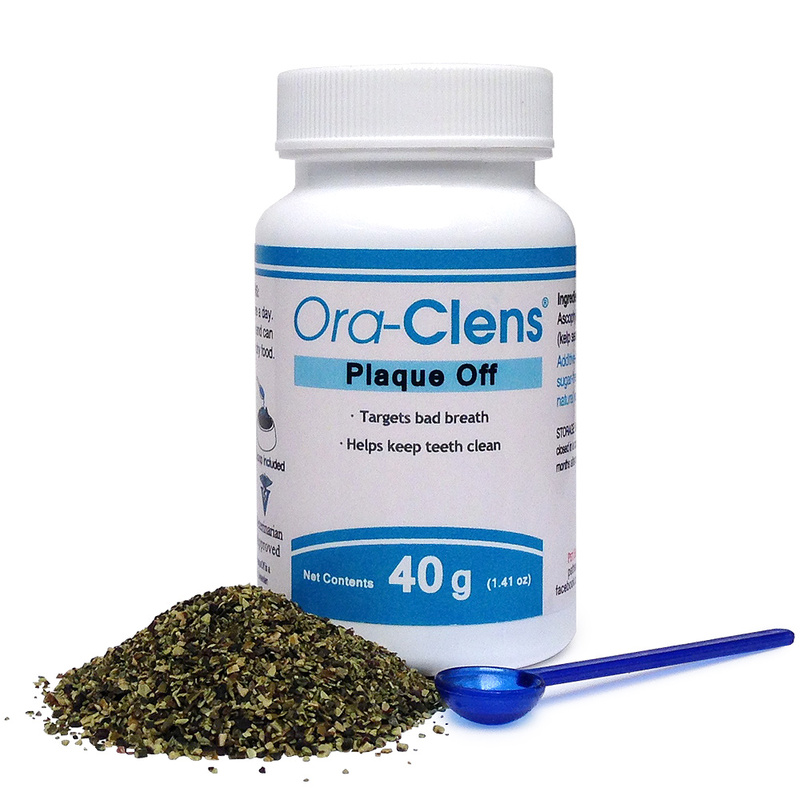 Plaque and tartar can cause gum disease, tooth decay, and other dental problems. 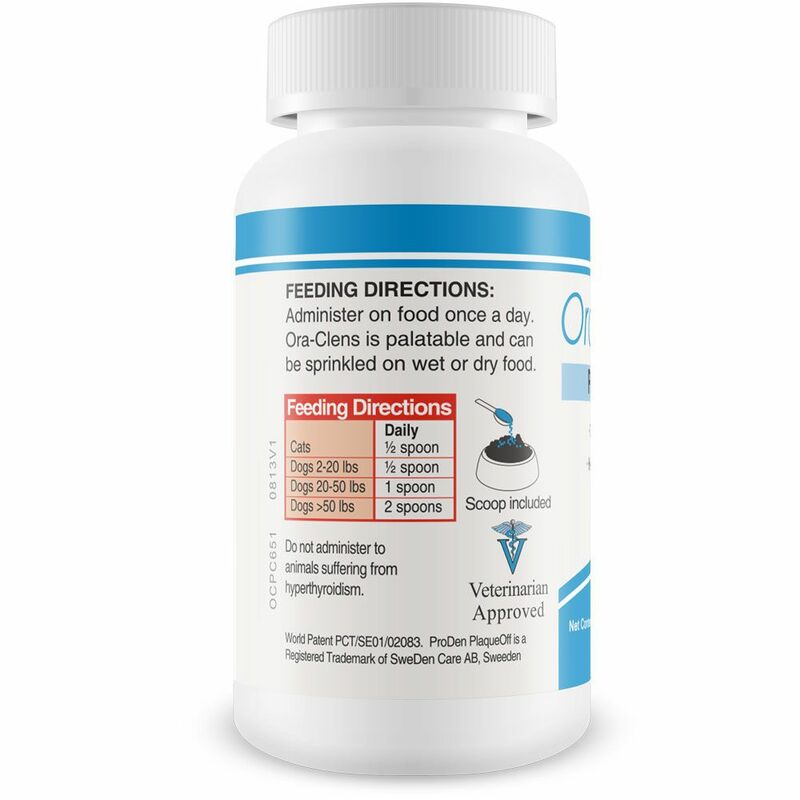 This product uses natural ingredients to prevent these diseases at their source with a formula that contains no sugar, preservatives, or gluten. 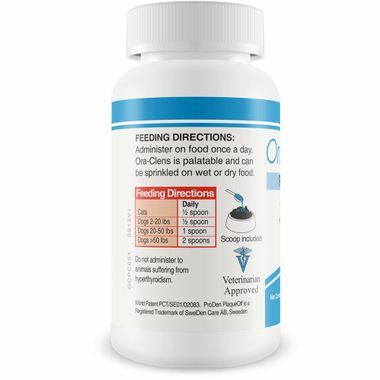 Ora-Clens Plaque Off is simple to administer to your pet; simply mix a small dosage of powder into your dog's wet or dry food. This bottle comes with 40 grams of powder approximately 60 doses. 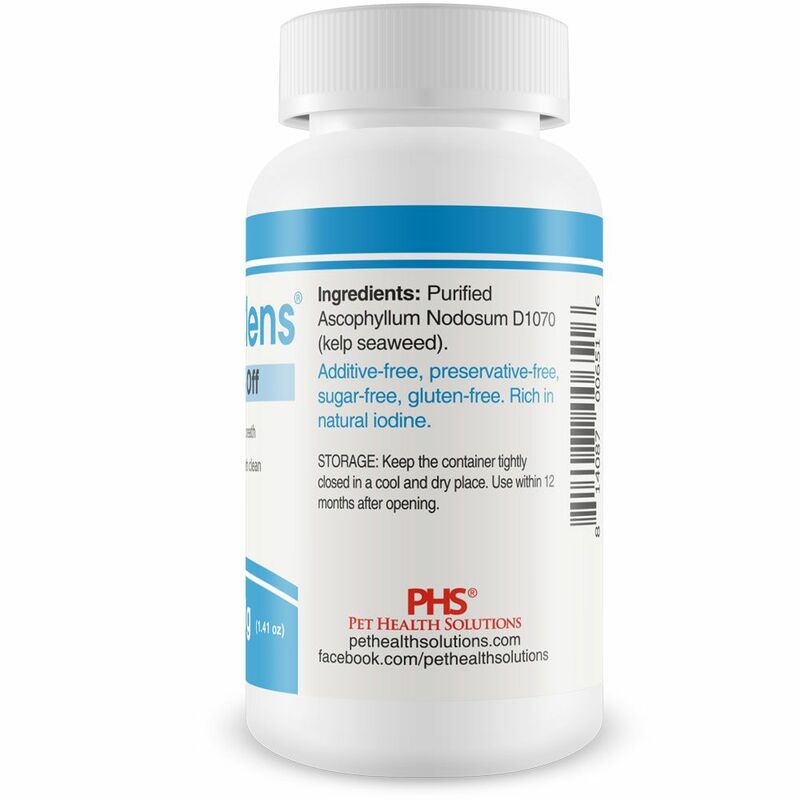 Purified Ascophyllum Nodosum D1070 (kelp seaweed). Additive-free, preservative-free, sugar-free, gluten-free. Rich in natural iodine. Administer on food once a day. Ora-Clens is palatable and can be sprinkled on wet or dry food. Do not administer to animals suffering from hyperthroidism.